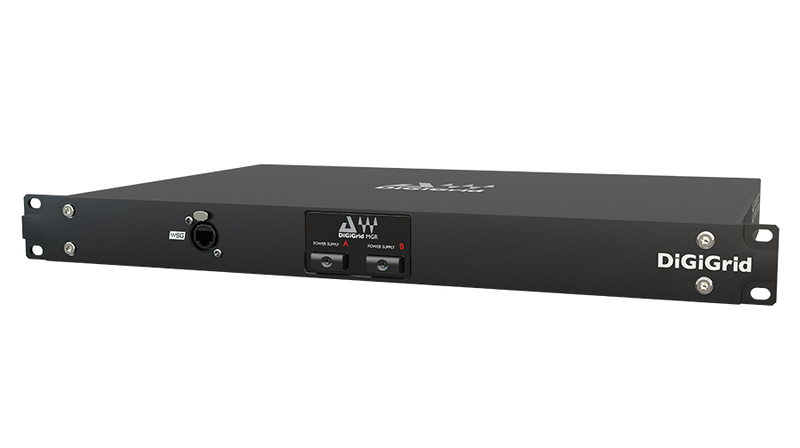 Premium rackmount MADI-to-SoundGrid interface for recording up to 128 channels at 96 kHz. Housed in a 1U chassis, with redundant power supplies and a built-in switch, DiGiGrid MGR is ideal for all high-channel-count MADI recordings. 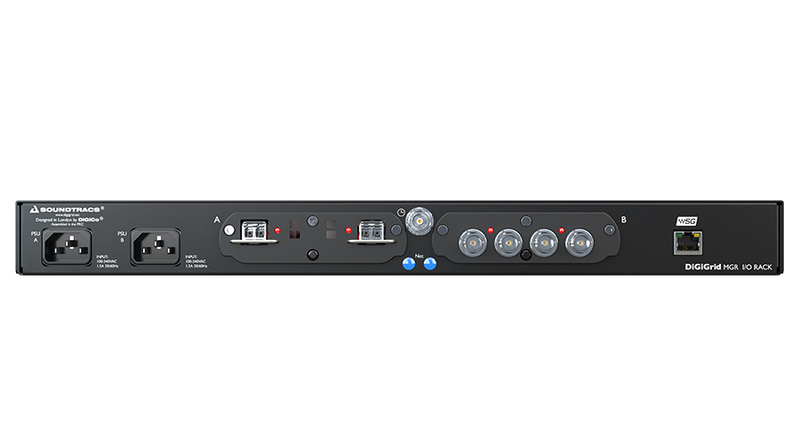 Expanding on the DiGiGrid MGB and MGO audio interfaces, the MGR extends the MADI range. The MGR ships as a Quad BNC MADI interface, and an optional optical MADI card can be fitted into the MGR, allowing complete compatibility with any MADI console, in any environment. The built-in network switch provides both front and rear mounted SoundGrid ports, making redundant recordings possible without any additional hardware. You can also use the extra SoundGrid network port to connect to additional SoundGrid devices, such as additional interfaces and SoundGrid DSP servers to your network. For mission-critical applications, the dual redundant PSU’s ensure uninterrupted operation and guaranteed performance, even in the most demanding situations.